Big talk on the nature of earth, finishing with KHam sparring with SMJ about gravity, little g, and the ball. carl sagan called somnium the first psience fiction work. so who or what was the sagani silefiorum on the cover fellow skeptics? i have no idea but im curious of course. Because g is a statistical construct, theorists can see in it what they want and, consequently, the interpretation of g has changed over time. It initially represented a factor resulting from factor analysis but it has evolved semantically into general intelligence as a mental capacity and, more recently, into general cognitive ability (Plomin, 1999). The value, if any, of g is the same as that of any factor derived from factor analysis, namely it is a useful tool for detecting covariation in a set of complex data. Unfortunately because of the potential problems with external validity, a factor could emerge that is just an artifact of the way intelligence tests are designed; it might not represent anything fundamental about the test takers. Edward Topham (1751–1820) was an English journalist and playwright. …eddie’s flying rock fall in 1795 we’re told. fellow skeptics please recall that chaldni’s book came out in 1794. The Wold Cottage meteorite (also called the Wold Newton meteorite) fell near Wold Cottage farm in 1795, a few miles away from the village of Wold Newton in Yorkshire, England. Mmm non-euclidean geometry, you educate me once more, smj. Just back on Sixto Rodriguez, for a review, antipodean and yossarian . It seems calling ‘Faux’ on Oscar winning documentary ‘…Sugarman’ is not a new thing. ‘Searching For Sugar Man’ – True Story or the Making of a Myth? When I searched ‘Rodriguez fraud’ I was mildly interested to find that the Baseball star Alex Rodriguez was nicknamed ‘A-Fraud ‘ and dominated the results. I did though manage to find – ‘Searching for Sugar Man’ Star’s Amazing Journey Erupts Into Fraud Lawsuit’. ‘Fraud lawsuit’ perhaps distracts from the straight idea the Rodriguez himself is fraudulently presented in the movie. In view of this ( red flag ) Oscar winning documentary being exposed as less than factual, I think the ‘South Africa’ documentary I pointed to before is very much up for scrutiny. Searching for Sugar Man looks like it’s a lock for Best Doctumentary at the 2013 Oscars, but is the man at the center of the story really as obscure as the filmmakers make him out to be? 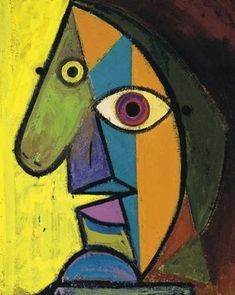 @TomD27 ever wonder why picasso’s so-called art is so hideous??? @smj Here an article about iron pyramid capstones and local lore that says they came from the sky. They did not have the term ‘meteor’ to describe the phenomenon but the phenomenon of iron rocks falling from the sky has been around for thousands of years. David Byrne and Albarn , this appeared to be contrived to me. They all keep straight faces. Links above are mostly about Egypt but mostly each ancient culture has myths about rocks falling from the sky that were the gifts of gods or the torment from gods. Just cuz a rich dude says he invented meteorites in 1794 doesn’t mean he did. as far as im concerned meterites are a narrative device to make gullible apes believe men can fly into the abstraction we call space in order to land on big flying space rocks. This entry was posted in Audio, Audiochats on August 12, 2017 by ab.